Shes growing so fast! 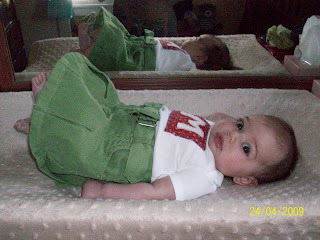 This is her in her latest adorable little outfit! 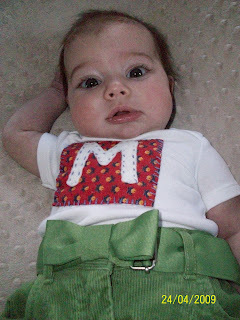 The letter M and fabric were made from some of Roxy's mom's old fabrics. It's almost unbelievable how cute she is. Such a little lady! She is so CUTE!, look at her big eyes . adorable.